← LLLT Low level cold class IV laser therapy. Treat the skin directly, preferably in contact (or very close). 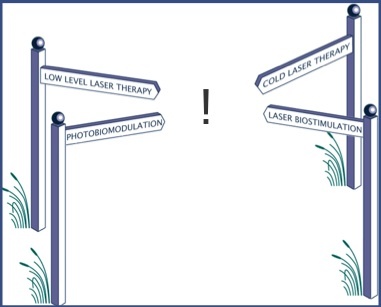 LLLT nomenclature: Cold Low Energy level Laser Soft Therapy Photobiomodulation Phototherapy – Whats in a name ? At the NZ2008 laser meeting we debated LLLT nomenclature, many scientists prefer to call it Photobiomodulation (and I agree this is the best name). Laser Biostimulation was used for some time by the American Society for Lasers in Surgery and Medicine, who recently adopted Photobiomodulation instead. Pubmed have chosen LLLT (stands for Low Level Laser Therapy) as the MeSH term (MeSH stands for Medical Subject Heading) however they have used that label for almost every form of medical laser treatment (low level or otherwise). Low Level Laser Therapy was a term coined by Oshiro and Calderhead back on the 1980’s.